No holiday is as fun and exciting for kids as Christmas. And a big part of the Yuletide excitement comes when it’s time to put up the Christmas tree. Christmas trees symbolize the magic of Christmas, and for kids, breaking out the Christmas tree ornaments means that the Christmas season has officially begun. You can make it even more exciting for your kids by having them make their own ornaments for the Christmas tree. Here are two classic kid's Christmas Tree Ornaments that your kids will enjoy making. Have the kids cut the construction paper into equal length strips. If very young kids are involved, it’s probably best if you do the cutting for safety's sake. An easy way to be sure that the paper strips turn out to be of all equal length is to cut all of the sheets either lengthwise or width-wise. Once all the paper strips have been decorated, all that’s left is to build the chain. 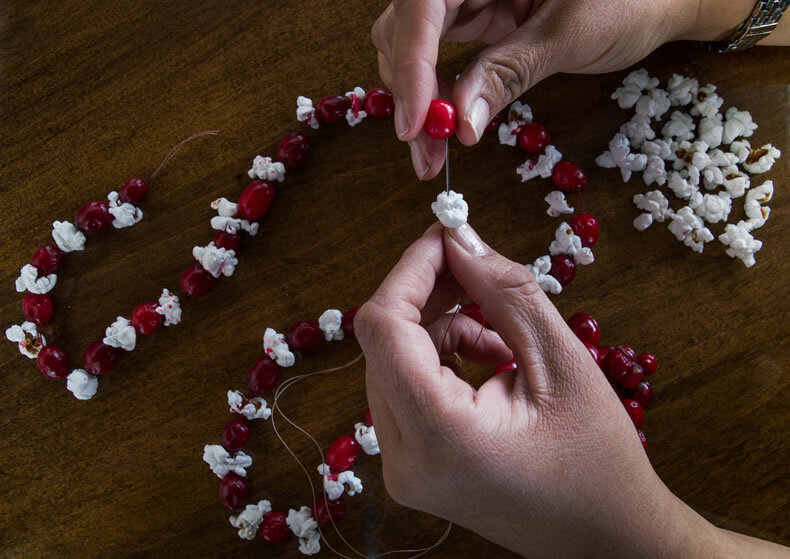 Just glue (or staple) the ends of a strip together to form your first link of the chain. Then insert the next strip through the first link and glue or staple the ends together. Keep going until all of the strips have been used and your Christmas tree chain is complete. The kids will love looking for their links in the chain as it adorns the Christmas tree! 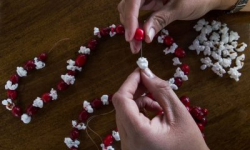 This project requires nothing more than a needle, thread, and of course, popcorn (white popcorn is best – not yellow or flavored popcorn). You’ll just pop the popcorn, and use the needle to skewer the popcorn one kernel at a time onto the thread. Remember to tie a good-sized knot on the end of the thread to keep the popcorn from sliding off. And start off with a long piece of thread. It’s easier to stop short and snip off the extra thread than it is too add thread to make the popcorn string longer. It’s also best to let the popcorn cool completely before starting. 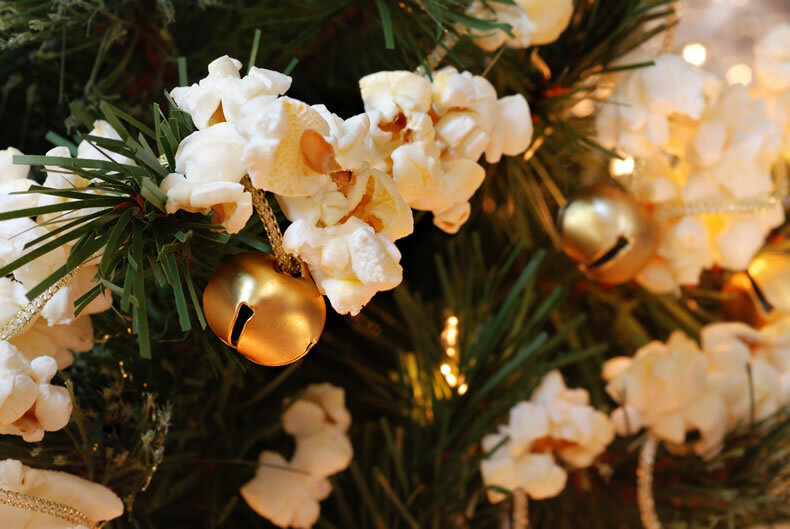 Hot popcorn is a bit more fragile and more likely to break when you skewer it with the needle than popcorn that has cooled off. Since a needle is involved, you’ll want to supervise closely, and probably allow only the older kids to handle the needle on their own. The little kids don’t have to be left out, though. You can skewer the popcorn with the needle, and let the young ones push the kernel down the length of the thread. That way they won’t get poked with the needle, but they’ll still get to build ‘their’ popcorn chain. These two projects are a great way to add to the Christmastime fun, and can be a great family activity, too. And you know what? These kid's Christmas tree ornaments actually look pretty good hanging on the tree!